Windows 8 isn’t just missing the Start Orb or the ability to easily restart/shut down the PC; there are certain other elements that Microsoft either decided to bury deep within the settings, or omit altogether, when compared with Windows 7 and earlier iterations of the operating system. Among them is also the ability to easily create ad-hoc wireless networks using your current internet connection and wireless adapter. Essentially, an ad-hoc wireless connection turns your PC into a virtual Wi-Fi router, allowing other devices to connect to the internet through a shared internet connection, each with its own unique IP address. Until Windows 7, ad hoc connections were a breeze, since there was an option to create one right in the Network Management utility. With Windows 8, the ability does exist; it’s just a little hard to achieve. In this article, we’ll guide you how to create a wireless ad hoc connection under Windows 8. 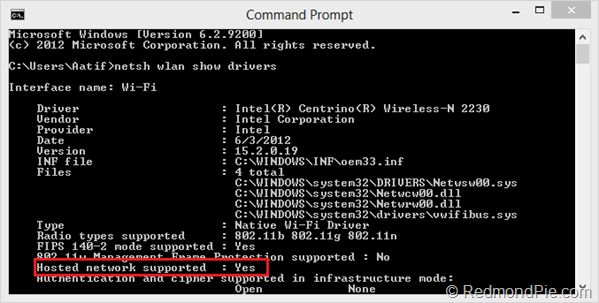 The procedure outlined here makes use of Windows’ native Network Shell utility, deploying the wlan command within the utility to enable a hosted network that will, in turn, serve as your ad hoc connection. If all this sounds daunting, fret not, for the actual procedure is fairly easy. Follow the steps outlined below, and you should be good to go. It should be noted that for this method to work, your network interface must be capable of supporting hosted networks. It’s always advisable to update your network adapter to the latest drivers before doing this. Step 1: Launch an elevated command prompt under Windows 8 (one with administrator privileges). If Hosted network supported says Yes, you’re all set. Otherwise, you need to upgrade your hardware, if the software update doesn’t fix it. Step 5: You’re all set, with just one thing remaining. If it’s not already enabled, you need to allow Internet Connection Sharing (ICS) for your currently-active internet connection. Simply head over to Network & Sharing Center, and in the properties for the current internet connection, enable ICS. Make sure to select the ad hoc connection under Home networking connection. 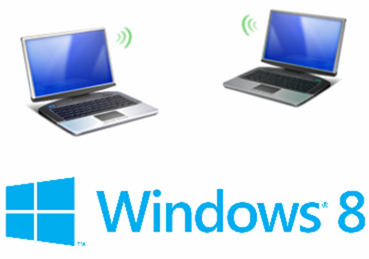 Now you can connect any device to the internet using the ad hoc wireless network with internet connection sharing that you just created on your Windows 8 PC. It’s worth noting that this isn’t the only method to create an ad hoc connection. 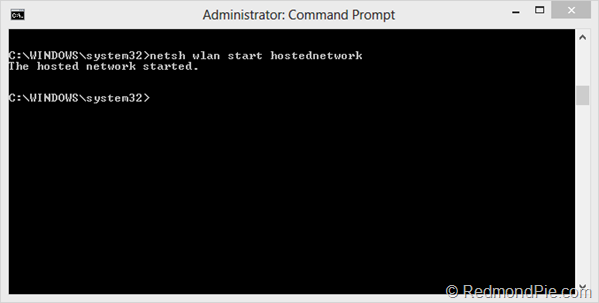 If you don’t want to play around with netsh command, or just need an easier solution, you may simply use a Virtual Router application for Windows, and that should do the trick for you. Google them out, you’ll find various good candidates there. It seem to work up to the other point of other devices connecting. They find the connection, I enter the password, they get an ip address and subnet mask but the hourglass/spiining circle keeps going and the connection doesn’t complete. 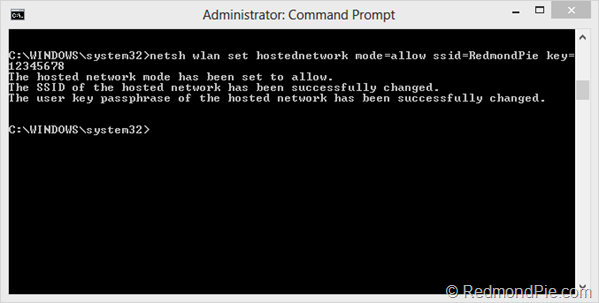 i have a problem, in the final step, it says The hosted network couldn’t be started, whan can I do? At the end of the process, when I have to allow internet sharing, it has no option for local network connection, so I can’t select it for that network, but for other ones I can. Why? How can i see what devices are connected to my network? 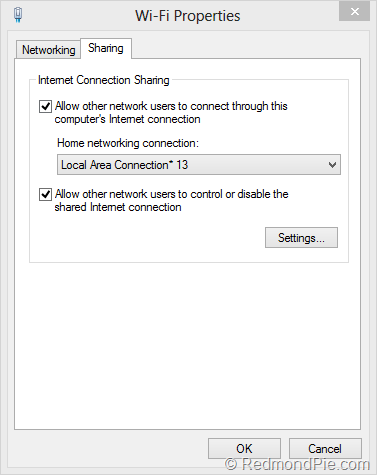 You have to untick the box that says allow internet sharing, then click OK. Now go back and retick the box and it should have a drop down menu to select local area/network connection. But there’s no name of the ad hoc i made. Why? I’m not sure, try the process to create the network one more time and make sure all steps were followed correctly, it should allow you to create the SSID (name) of your network. If you don’t see the name of your ad hoc network in the drop down, try to turn the network on first and then attempt to select it, make sure wireless network drivers are not disabled. This was very usefull. I think i had most of the problems listed here, but eventuallly got it working reallyl well. Amazing what turning the pc off and on again will solve!! I did notice that the DHCP issued by the host pc, changed ip’s for the clients a lot, so eventually set most of the clients with a static ip on the given network and that made things a lot more stable for things like streaming. Thanks again. Great. This helped me with using my Air Display App. Great up to step 5. ICS for the current internet connection will only allow sharing for “WiFi” not for the “local area connection *” that was created, Any thoughts? Is it possible to make an open wireless network with netsh? It seems like it isn’t, but I figure I might as well ask anyway, in case I’m missing something. “WiFi” is the adapter name, not the network name. Basically, when you setup the ICS, you’re saying I’m goning to share the connection with all devices attached via this adapter. Hi,I’ve followed the instructions but when I hit enter I always get notification about admin privileges. ***I have checked ad hoc support and it’s supported,also I have turned on ad hoc in wireless adapter settings.